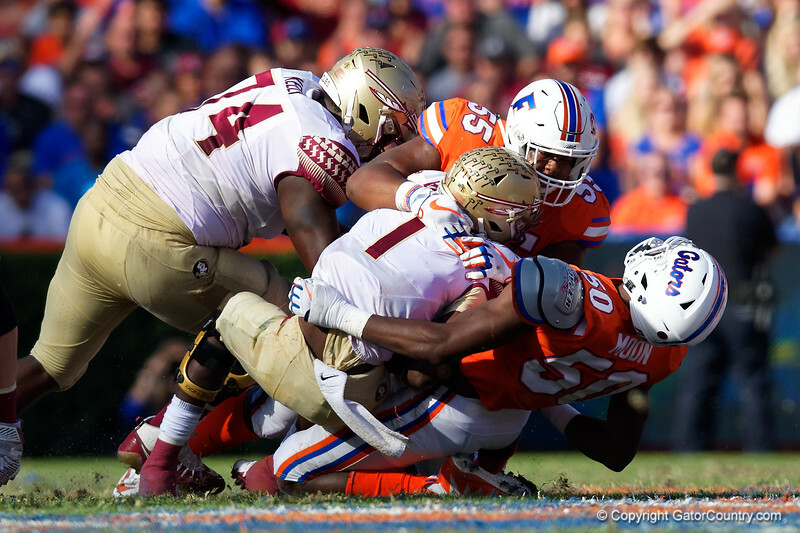 University of Florida Gators defensive lineman Kyree Campbell and University of Florida Gators linebacker Jeremiah Moon combine for a tackle during the second half in which the Gators lost 38-22 to the Florida State Seminoles at Ben Hill Griffin Stadium in Gainesville, Florida. November 25th, 2017. Gator Country photo by David Bowie.